Cory Kendrix is starting to build a reputation as a stylistic chameleon. He’s always been known for dropping bars, but recently, he made a shift into KNDRX mode, which allowed him to explore the more melodic realms of his sound. 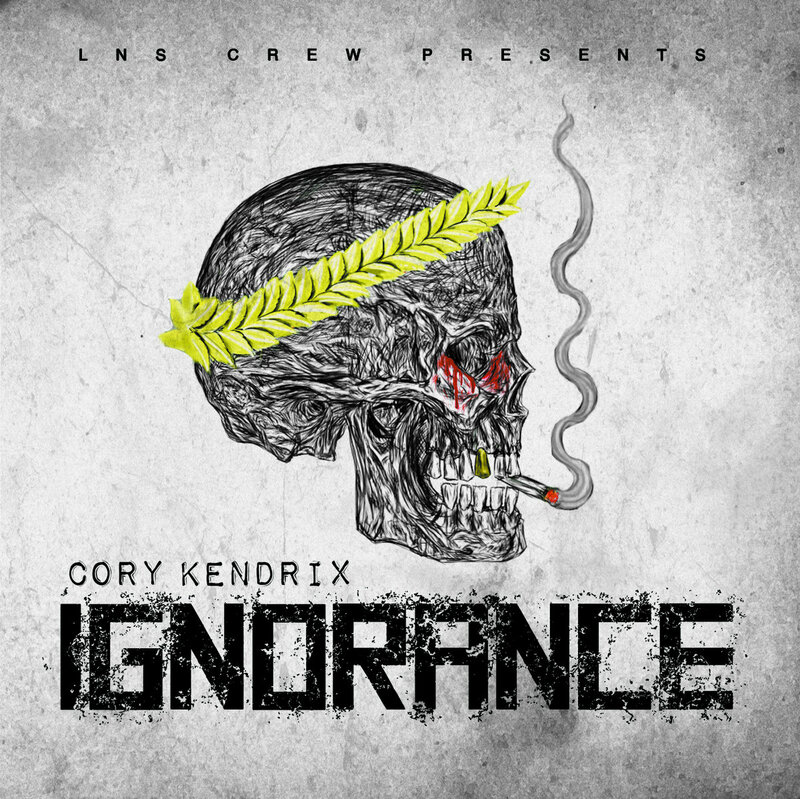 I initially thought that this was an overall style shift, but I’ve come to find out that that was just foolish of me to assume, as Cory Kendrix seems to be prepping us for the release of Ignorance 2 by dropping a certified banger in the form of OMG. The beat is fire, the bars and delivery are on point, and the overall vibe sticks in your head, so much so that you’ll probably find yourself humming the track well after you’re done listening. You know the drill, people… share it, support it, and keep checking back here for more and more of that good stuff. It feels like I say this most every post I make about Kydd Jones, but it really only seems like a matter of time before he starts making noise on the next level. As 2018 was wrapping up and people were focusing on 2019, Kydd kept his track record of consistent, quality output going with a final single in the form of Ducked Off. The beat itself, produced by Kydd, is sick as hell, and Kydd drops bars oozing with swagger on top of it, creating an ominous sound that has only previously been hinted at in his music. With each release, Kydd is sounding more and more like the seasoned veteran that he has shaped in to. Cop this one, preferably with a donation, and spread it around so that it gets all the play it deserves. It’s no secret that LNS Crew is a forced to be reckoned with. From day one, every member was bringing skill to the table, but over the last four years or so, every member’s maturation and journey through life has resulted in significant personal and musical growth. As the member that has kept his roots firm in Austin, Tank Washington seems to personally attempting to put the city on his back and further the steps towards putting Austin on the map as a hotbed of consistent creativity. 183 has the production and performance chops to stand up to anything making noise in the pop realm right now, with Tank proving he can rock most any style beat with confidence and captivating storytelling. The only thing keeping Care Free from being my summer jam is the fact that this album is coming out on Thanksgiving eve. You can find this one on all of the streaming services and download sites, so if you aren’t listening to and supporting this one, that’s on you. You know how it goes… some people put in so much work, that just as you’re done giving them props about one project, another project comes down the chute. Lo-Phi is gearing himself up for a busy 2012. LNS & Exploded Drawing team member Lo-Phi enjoys the finer things in life. Good music, good vibes and, most of all, good food to go along with it. Watch him whip up some tamales alongside sick beats. Lo-Phi’s full length debut on (iN)Sect Records out January 13th!